Kiev (AFP) - Ukrainian President Petro Poroshenko warned Wednesday he may renege on his promise to give pro-Russian separatists more power should Moscow fail to abide by the terms of a shacky truce. The former Soviet country's pro-Western leader once again accused Moscow of backing the eastern insurgents and violating the terms of a six-month-old armistice signed in the Belarussian capital Minsk. He stressed that mooted constitutional changes offering rebel-run parts of the industrial war zone limited self-rule -- due to face a final vote in parliament by December -- would be delayed should the violence grow. 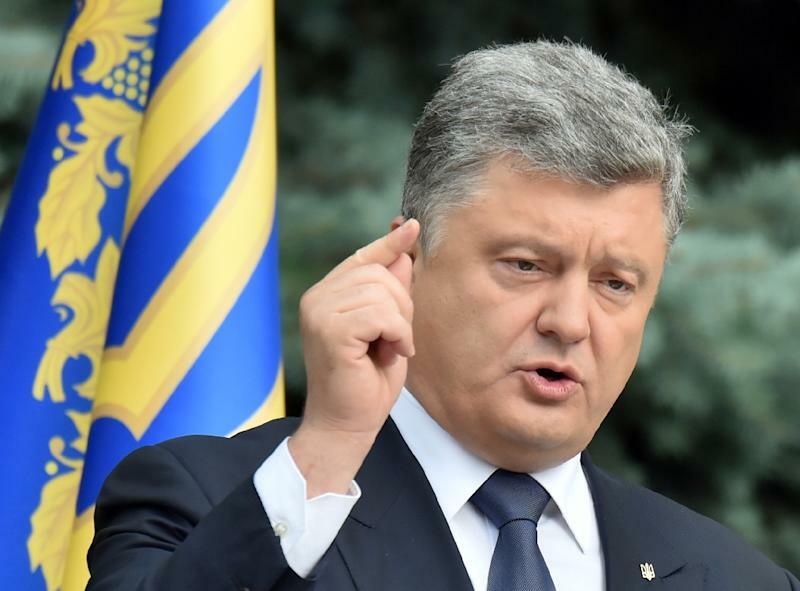 "If Moscow ultimately decides to bury the Minsk agreements, we will have to re-examine these constitutional changes," Poroshenko told a group of regional representatives. "Should, God forbid, we be put on a war footing and have to declare martial law, I will not hesitate for a second and issue decrees... that prevent the introduction of changes to the constitution." Poroshenko faces stiff resistance to his autonomy pledge from Ukrainian nationalist forces who make up a sizeable portion of parliament and were instrumental in the February 2014 ouster of Kiev's Kremlin-backed leadership. Russia's subsequent seizure of Ukraine's Crimea peninsula and the 17-month eastern uprising that soon followed has claimed the lives of nearly 8,000 people and eroded Moscow's already strained relations with the West. Far-right groups view any concessions to the guerrillas as an informal recognition of Ukraine's submission to Russian President Vladimir Putin and his alleged attempt to recreate the old tsarist and Soviet empires. Ukrainian lawmakers' initial passage on August 31 of the new constitutional clause -- a vital part of the 13-point Minsk accord -- sparked riots that resulted in the deaths of three Ukrainian military recruits. Yet the February deal is seen by many Western heads of state as the best chance for returning calm to the European Union's fraught back yard. Diplomatic sources said German Chancellor Angela Merkel and French President Francois Hollande -- two underwriters of the Belarussian agreement -- were expected to speak to Poroshenko and Putin by telephone later Wednesday. The warring sides agreed on September 1 to more strictly respect the truce and work harder at finding a political settlement by the end of the year. But a new round of Minsk talks Tuesday made no reported progress toward a commitment by both armies to withdraw almost all their weapons from the 500-kilometre (310-mile) demilitarisation zone. Rebel command said it expected a special security task force that includes Russia to continue the negotiations with the help of European mediation on Wednesday. Ukraine's army said Wednesday that the reinforced nine-day vow to hold fire was holding despite small skirmishes that claimed the lives of two government soldiers this week. 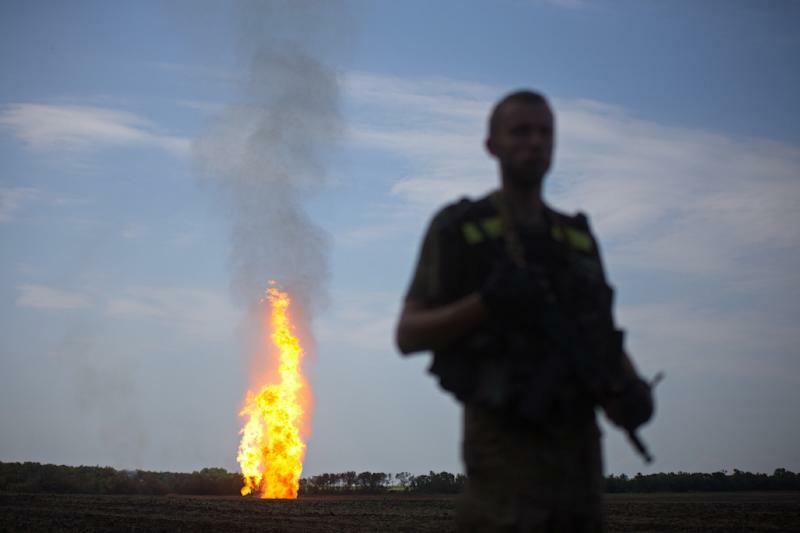 "A relative calm on the front is holding," Ukrainian military spokesman Andriy Lysenko told reporters. "On average, the rebels violate the ceasefire 10 times a day, but they no longer use heavy weapons." Lysenko said the insurgents staged a raid in the eastern separatist province of Lugansk that was repelled in a 30-minute gun battle in which one government soldier died. 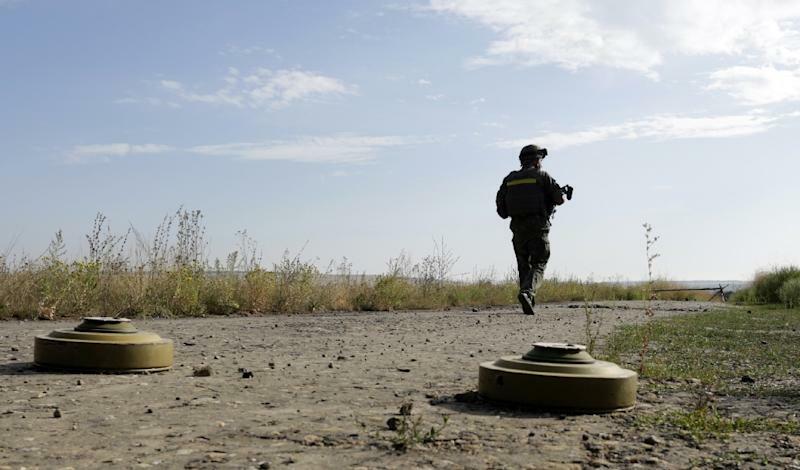 Another Ukrainian serviceman was reported killed Tuesday. The February accord offers the separatists the right to form their own security forces but requires them to cede control of their parts of the Russian-Ukrainian frontier to Kiev's troops. The slow pace of negotiations had earlier seen the militia request a deadline extension that would see all peace terms implemented by the start of 2017. Ukraine wants to seize back full control of its Russian border within the next four months.